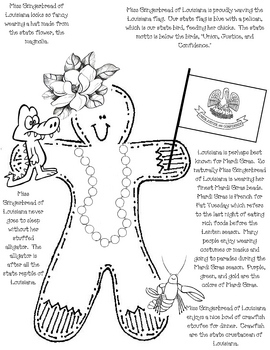 This gingerbread girl goes great with The Cajun Gingerbread Boy. I used her to mail out to other states when I participated in a gingerbread exchange. She tells all about our state and it's emblems. She is a perfect addition to a Louisiana Unit.